You've met us already but now we get to introduce some of our favorite collaborations we've been secretly working on! We both have been amazed and so thankful for the opportunity to work along side one another and can't believe how much fun it is to collaborate on giftables…we're hooked! 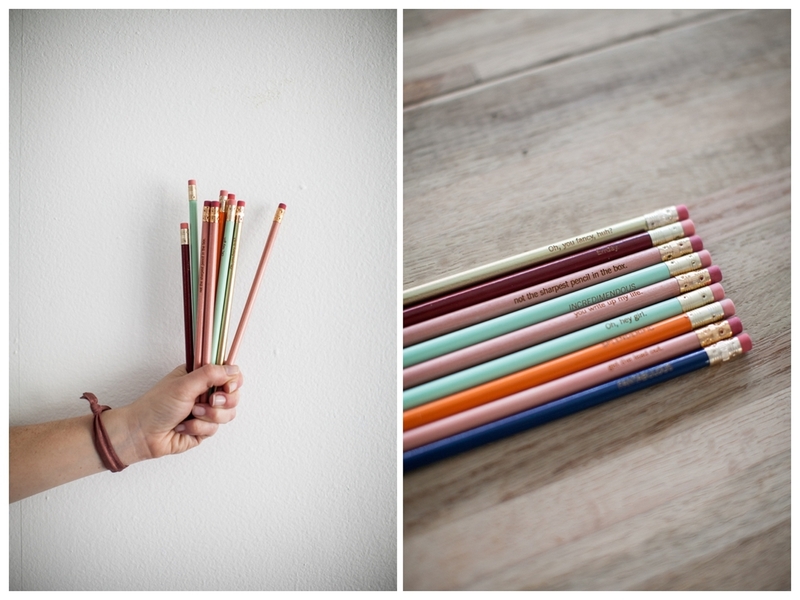 …and quite tickled with our sassy pencils! Here is a sneak peek at what we will be selling!